Discussion in 'Downhill & Freeride' started by MADproductions, May 23, 2010. Hi everyone, this is my first post. So, to introduce myself here's my newest video. 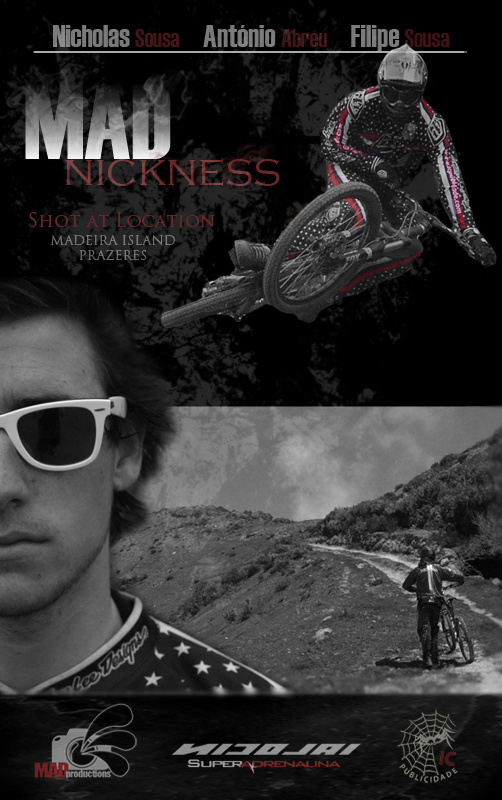 The rider is Nicholas Sousa, sponsored by Nicolai Super Adrenalina. It was filmed in Madeira Island, Portugal. kind of a fun little vid. Looks like a fun location! The too much slo-mo of things that aren't really slo=mo worthy. Seems like most of the riding is stuff that us mere mortals (ie. unspancered riders) could handle pretty easily, particularly if we knew the trail well. Additionally, if you're going to use the bike sounds in the fly-by shots, make sure the bike isn't squeaking. Especially given that this is basically a Nicolai video. IMO the vid was pretty good, the trails looked fun, the little airs looked fun. But the full face helmet and clown suit, along with the rear wheel squirts just to toss dirt -- those things make it seem a little bit staged or artificial. I guess the rear squirts are fun to do, but from a trail maintenance/preservation perspective, they're disappointing to watch. I don't like seeing them generally because they encourage every corner to be really wide, and they encourage riders to skid their turns. But they're your trails... your maintenance... your widening... your gig. I have no interest in those trails, I'm just commenting on what I don't like where I live and ride. A person can ride uber-fast and playful without squirting dirt on every turn. Overall, not a bad vid at all. West coast = waffle fries? Thank you so much for your critiques !